Sanjay Tripathy, who heads the marketing and direct sales channels as an executive vice president at HDFC Life Insurance discussed the impact of the Budget and answered readers’ queries on the insurance sector. bharat asked, Is relation of KYC norms a big relief? What does this relaxation of KYC norms mean for the customers? Tinu asked, Would insurance firms prefer banking channel in these smaller cities or will they prefer to have their own presence post this announcement? Shripal asked, Hi Sanjay, do you think most of the Indians still don't trust private insurance companies? helloSan asked, Mr Sanjay, are you really there to reply our Qs ? helloSan asked, one more, what is the growth of insurance sector you presume for the next 5 years ? as I don't see people that keen in using this option as really an insurance instrument. Mostly doing it for tax saving purpose. Sanjay Tripathy answers, We believe ins sector will grow 10-15 per cent for he next 5 yrs, majority of Indians r still under insured. Hence the requirement for ins covr will aso go up. suhas asked, Hi Sanjay, Why private insurance companies have not been able to beat LIC yet? Sunil asked, Can you please tell Sanjay, is growth for private insurance companies in places like Mumbai and Delhi saturated? Do you see growth coming more from small towns in future? Sanjay Tripathy answers, In Metros, pvt Lif ins companies' growth will come from SEC C an D. And you are right that majority of growth will come from Tier II n III cities. We are dedicated to reaching out to that mrkt. sitara asked, How do you analyse this Budget? Will it boost the economy? Sanjay Tripathy answers, This budget reflects a tight rope walk by the Finance Minister given that he has to bring back investor confidence, spur investment and growth as this might be the last full budget prior to general elections. The budget is a responsible and pragmatic one with announcement of several initiatives that should spur growth. A number of measures for financial and capital markets are a step in right direction. hemant asked, Sanjay, why HDFC LIfe has not been able to capitalize on HDFC name yet? I don't see HDFC Life as big as HDFC bank, why? Sanjay Tripathy answers, I don't agree with you on this. We are currently one of th leading players in the private lif insurnc space. Comparison with the Bank i not the right parameter to measure our growth. Tinu asked, FM has has allowed insurance companies to open up branch offices in tier II cities and below without prior approval Regulatory. What do you think of it? How much will it help the sector? Sanjay Tripathy answers, It will help company's go to markt srategy. Insurance companies now ca open branches faster and will reduce paper work and delays. helloSan asked, Hi Sanjay, why the insurance sector is not seen as best options to save money ? dharma asked, Do you think the government should allow more foreign insurance companies? Sanju asked, What kind of potential does the insurance sector have in India? What are the big opportunities you plan to tap? sitara asked, If you were the finance minister, what would you have done? Sameer asked, Sanjay this is regarding answer to hemant...I really don't understand, why HDFC life is not been able to gain the trust of people as HDFC bank has done..
Sanjay Tripathy answers, I don't agree with you on this. We are currently one of the leading players in the private life insurance space. Comparison with the Bank is not the right parameter to measure our growth. Rihanna asked, I have not followed the Budget. I read about the KYC norms. Can you tell me please if there's anything in the budget (from insurance point of view) that make a commoner's life easier? Rakesh asked, Hi Sanjay, can you tell us any good pension policy and good scheme of HDFC Life that will secure my old age? Dhwani asked, There has been not much on pension-plans in the budget...your views on it? jaya asked, The budget is a setback for the salaried class which hoped for a change in tax rates. What are your views on this? jaya asked, What are your thoughts on the all-women’s bank? Pankaj asked, I have a different kind of question for you Sanjay...Why insurance policies need to have such long term period? Why can't you have small term period for 5 years? I invested Rs 1 lakh in a scheme and now I am trapped even if I have to withdraw from the scheme, i will not get the money back till 10 years. Why you have such long schemes and not shorter duration schemes? Sanjay Tripathy answers, Insurance operates in long term savings segment. Though 5 year plans are available, you should always have a long term horizon while investing in insurance. Always buy insurance after checking terms and conditions. Please a do a need analysis before buying the product. Lalit asked, Hello Sanjay, are you there? subbarao asked, why the govt did not cosider salaried employees ? Ganesh asked, Hello rediff, has Sanjay left the chat room? Sanjay Tripathy answers, I am here. Please ask. Jatin asked, What are your expectations from the new IRDA chief? Sanjay Tripathy answers, To understand the need of the hour of this crucial sector. And take adequate and timely steps to bring back growth. Shirish asked, Sanjay : Do you think fix deposit returns are too high in India and therefore it deters people from investing in insurance because they feel it is compulsion investment once you decide to pay the premium? Sanjay Tripathy answers, You should always do a need analysis before buying any ins product. Insurance provides security in case of any unfortunate event, which other asset classes do not. Mandar asked, Hi sanjay, What is the best age to begin your insurance? In early 20s or late 20s? Sanjay Tripathy answers, After you stat your job..
Baban asked, hello..koi hai, chat over? Sanjay Tripathy answers, - Insurance companies will be empowered to open branches in Tier II cities and below without prior approval of IRDA. - KYC of banks will be sufficient to acquire insurance policies. - Banks will be permitted to act as insurance brokers so that the entire network of bank branches will be utilised to increase penetration. - Banking correspondents will be allowed to sell micro-insurance products. - Group insurance products will now be offered to homogenous groups such as SHGs, domestic workers associations, anganwadi workers, teachers in schools, nurses in hospitals etc. - There are about 10,00,000 motor third party claims that are pending before Tribunals/Courts. Public sector general insurance companies will organise adalats to settle the claims and give relief to the affected persons/families. Lalit asked, Hi Sanjay, Can we get better returns from insurance companies in future? Sanjay Tripathy answers, Please do a proper need analysis before buying the insurance product. Insurance products will help to match your long term goal based on your needs. Sanjay Tripathy answers, Always buy insurance from a need perspective not just for tax perspective..
Sanjay Tripathy answers, Consumer awareness is the key. Pl get yourself updated and check with insurance company before buying the policy if you have any doubt. sachin asked, Since India does not have social security, how would you suggest people plan for post-retirement? Sanjay Tripathy answers, You need to start retirement planning at the earliest to build a sizable corpus and meet your future needs. Mahesh asked, Hi Sanjay: Why can't insurance take on mutual funds by giving good returns? Also why don't we have short term lock in period term for insurances? satish asked, Hi Sanjay, Where do you see the volumes of Insurance sector going after three years in INdia? 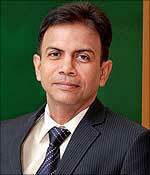 Sanjay Tripathy answers, Insurance sector is expected to grow at 10-15% in next 3 years. Viju asked, Sanjay will you agree the insurance companies never take action against their agent once they sell their policy to customer and go even if they cheat you? Does HDFC Life takes action against its agent if they sell wrong information to customers? Sanjay Tripathy answers, Yes.. We follow a malpractice matrix and take action against the person concerned for misselling. Tendulkar needs to justify his place! Last minute tax tips? Read this! Planning for retirement through pension plans?